No matter what age you are, your overall health and family history is, it is essential that your hearing is intact for your overall well being. 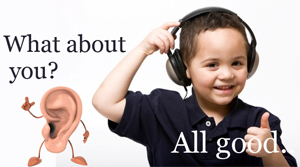 Hearing loss is far more common than you think. As many wrongly assume that people who get exposed to loud noises are the only ones who end up having hearing impacted. Well, that's not true! Hearing loss affects people of all ages and some might not even be able to notice that they are suffering from hearing loss. Are you Struggling at Work - If you are having a hard time understanding instructions, hearing what your colleague is saying when others can hear them very well, then you must go for a hearing test. Do you know that according to various studies and surveys it was discovered that people with hearing loss take a brunt on their earning as well. Don't Miss the Joy of Little Things - Laughter of children, sounds of waves crashing and bird chirping are few of the pleasant sounds of nature. These little things in life contribute to your overall happiness. So do not deprive yourself of this and go for a hearing test. Routine Check Ups Do not Include Hearing Test - Many of us are under the impression that people going for a routine check up must be aware of any hearing loss present. 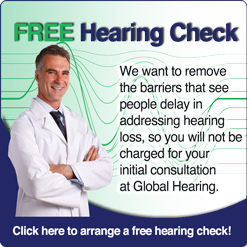 Well, you will be surprised that less than 20 percent routine check ups include hearing tests. Clearing routine check up doesn't necessarily mean perfect hearing. Safety Issues - Affected hearing can be a huge threat for your safety. You might not be able to hear warning alarms such as fire alarms, horns of big vehicle and you may land in catastrophic situations.